Companies considering videoconferencing have three basic choices: 1) Purchase all the equipment to connect everybody in the enterprise; 2) Buy no equipment and use a hosted service, utilizing existing computers and mobile devices with web cams; 3) A combination of 1 & 2. Very large enterprises that implemented choice #1, and invested significantly towards videoconferencing technology are opting out of the hardware commitment and seriously considering a hosted solution. Their in-house IT department is tired of getting calls at three o’clock in the morning when someone cannot connect a video call overseas. Maintenance cost on existing end point equipment is now higher than simply purchasing new equipment for the conference room. Just like all other technologies, it’s getting better and far less expensive. The ITU, (International Telecommunications Union), standards are much more refined allowing seamless connection to all makes and models of videoconferencing CODECS. Several bridging companies provide hosting services that connect computers and mobile devices right to the conference room CODEC. This works just as easily as connecting a cell phone to the conference room speaker phone. Large enterprises could expect to pay $250,000 dollars and up to $1,000,000dollars for choice #1, not to mention recurring bandwidth costs, so hosting services are starting to look like the better economic option with happier end users. 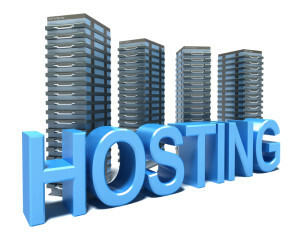 Picking the best hosting option is the current challenge for the enterprise. There are two basic choices: standards based or proprietary based. Standards based include anything built on the ITU, (International Telecommunication Union) standards. These are H.323 and SIP based protocol standards. The other basic choice is proprietary. This would be a WebEx, GoToMeeting or similar service. The big problem with proprietary based is the fact that everyone must be connected within each service accordingly. This would be like having cell phone service that only connected to customers using the same service. Imagine Verizon cell phone users only connecting to other Verizon users and not able to connect to T-Mobile or AT&T users – This is silly and in our view inefficient. The gravitational pull in videoconferencing is found in the ITU standards. Whatever hosted services you are looking at make sure it’s using the ITU standards — H.323 and SIP. This is how the world connects in videoconferencing. This brings us to choice #3 a combination of #1 and #2. Larger enterprises in the market still want a videoconferencing CODEC with a pan tilt zoom camera in the conference room, but they also want to connect to everybody on video, including those with no equipment. The good news is cost for a conference room system can be totally eliminated with a bundle program from a CLEC, (Competitive Local Exchange Carrier), willing to take on the capital cost of the CODEC. The advantage here is the client gets the latest equipment with no worries about connecting and 24/7 support with automatic firmware upgrades and maintenance. Every several years the equipment is upgraded to the latest hardware. Cost is fixed and there are no worries about extended maintenance and service because it is all included. Clients with their own videoconferencing equipment or the bundle service can pick and choose a variety of plans that seamlessly connects anyone to their conference rooms via computer or mobile device. One plan connects 15 participants in six separate rooms for $599.00 per month. This is a tremendous value. You can have 15 participants in one meeting in the morning and 6 salesmen meeting face-to-face with 6 prospects simultaneously in separate meetings in the afternoon. These are all floating ports which anybody with any device, including a standards based videoconferencing CODEC, can attend a meeting without subscribing to any software or purchasing any license. Expect to pay a minimum of $75,000 to duplicate this scenario in-house. Added to this is the increased bandwidth cost of several thousand per month plus $5,000 to $10,000 per year maintenance on the hardware. Additionally this is now something your in-house IT department has to manage on top of all the other more critical applications. The technology is getting better and the ITU standards more refined. Even the smallest enterprise can comfortably afford videoconferencing. Soon videoconferencing will be as ubiquitous as cell phones and email.